The International House of Pancakes (IHOP) is celebrating its 59th birthday on July 18, 2017, and they want you to celebrate. From 7 a.m. until 7 p.m., restaurant patrons can get a short-stack of buttermilk pancakes for only 59 cents. IHOP announced the deal on their official Facebook page via an event as well as their website. There are a few conditions you must adhere to in order to get your 59 cent pancakes. 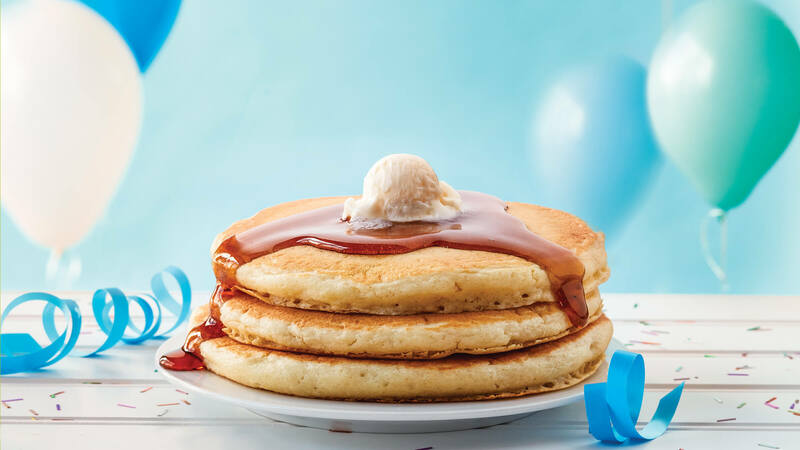 IHOP frequently offers promotions and birthday specials. You can follow IHOP on social media to stay up-to-date with their latest deals. You won’t need a coupon for this deal as it will be offered in house. The short stack consists of three buttermilk pancakes and you must order and dine in the restaurant. The 59 cent pancake deal may not be combined with other coupons, discounts, or promotions. There is a limit of one short stack per guest. Still, this is a great deal and a wonderful way to enjoy dining at IHOP. IHOP has many promotions and deals throughout the year. You can find more deals at the official website. If you like the idea of free pancakes you might want to sign up for IHOP’s Pancake Revolution. It’s free to join and membership entitles you to a number of rewards and perks year round. You’ll also get free pancakes on your birthday.